The exhibition SMM in Hamburg offers not only the opportunity to present the new developments of our product line, it is also a good opportunity to make new partners. 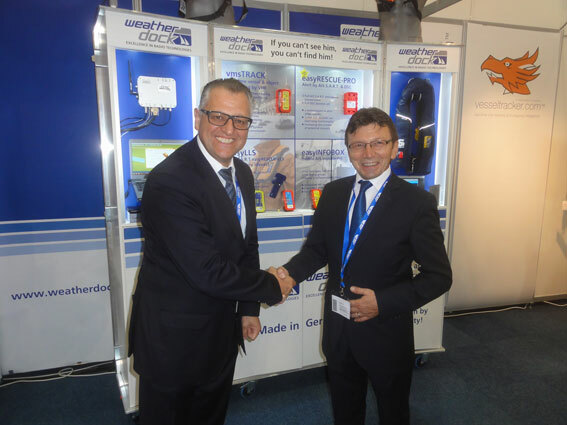 On the second day of SMM 2014, Mr. Kotouczek-Zeise, CEO of Weatherdock, signed a partnership agreement with Mr. Nadir Gürel, manager of the Turkish company Texpert Teknoloji LTD. STI. We are pleased to expand the list of our partners in Europe with this new deal. You will find personally and professionally advisory service about the entire Weatherdock product line by Mr Nadir Gürel and his team.